With it now being summer we know you and your friends and families are spending more time outdoors. From swimming in the pool, family BBQ, or just having a little get together, having the perfect lighting can make the experience that much better. 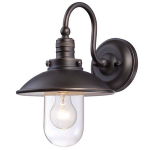 Lighting in any of your outdoor areas can set the mood just right on these summer nights. 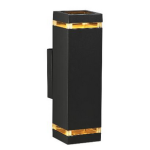 With so many to choose from here are a few lights for any style. 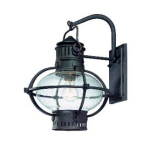 This light is perfect for the outdoor types. With everyone’s busy lifestyles it might be hard to get the whole family to go on an outdoor excursion. No need! This light brings that look and feel to you. The beach is a common get way for most in the summer time. With the relaxing feel of a beach house on everyone’s mind, why not bring it to you! 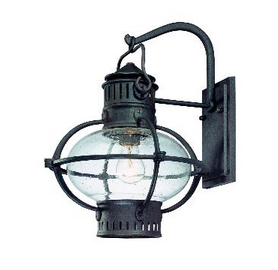 This light is perfect for transforming your outdoor space to just that. This light is perfect for a modern home. Its sleek futuristic design it will be the topping to the cake to your outdoor soiree.